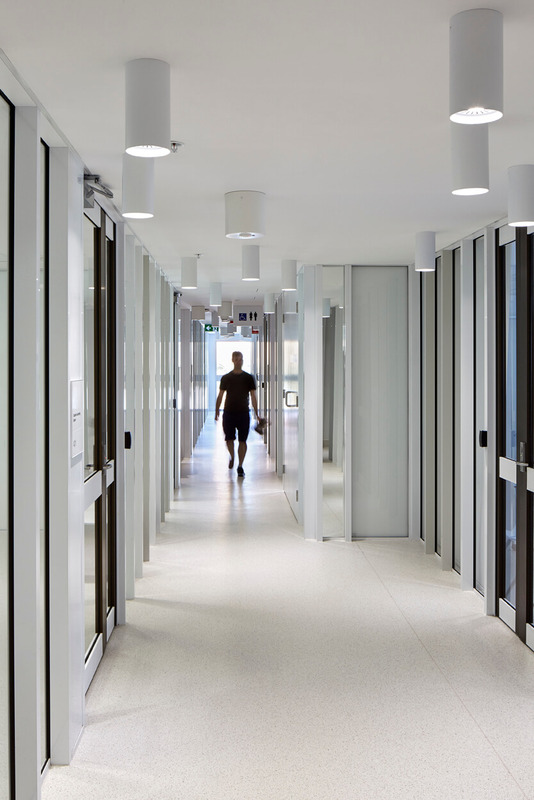 The University of Queensland Chemistry Building involved rebuilding a major research laboratory and teaching facility from the inside out. The completed works exceed 8000m2 and $40M. 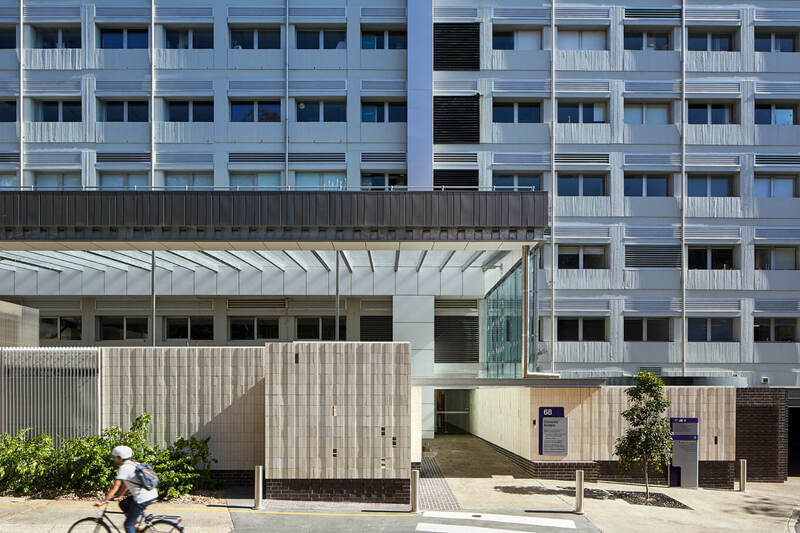 After more than 40 years of service, The University of Queensland’s Chemistry Building required a new vision to ensure its long term future. 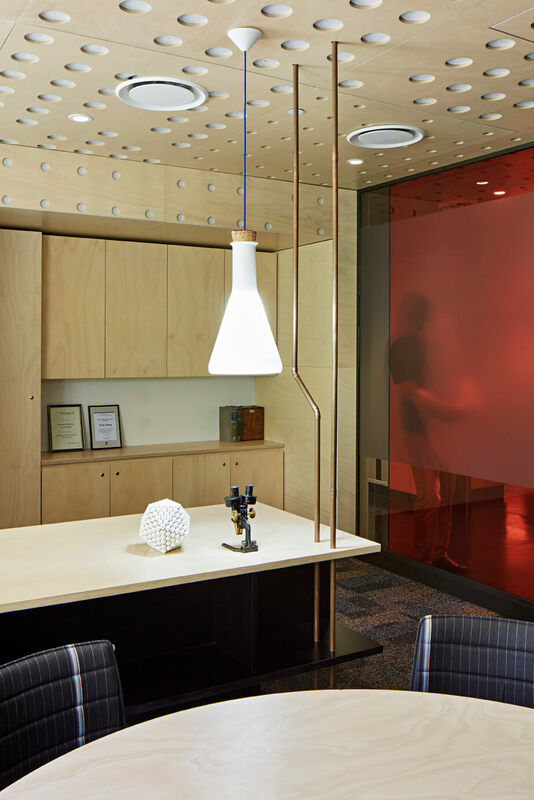 New laboratory standards, new modes of research and new teaching methods all demanded a dramatic rethink of the facility. Our masterplan addressed these issues. Thereafter, we designed and documented the complete refurbishment of ten of the building’s twelve floors. The outcome is the result of a series of collaborations with more than 15 research scientists and academics. Within each laboratory we worked tirelessly with every academic to focus on their respective research needs. Level 1 – A new entry, a deliveries bay including the handling and storage of dangerous goods, a specialist scientific workshop, bulk gas and chemical stores, gas reticulation, glass blowers, mass spectrometer facilities and end of trip facilities. Level 3 – Reception, administration, building manager’s and academic offices as well as student tutorial space. Level 4 – Advanced undergraduate teaching laboratories and specialist preparation spaces including wet demonstration seminar room, computer rooms and student facilities. 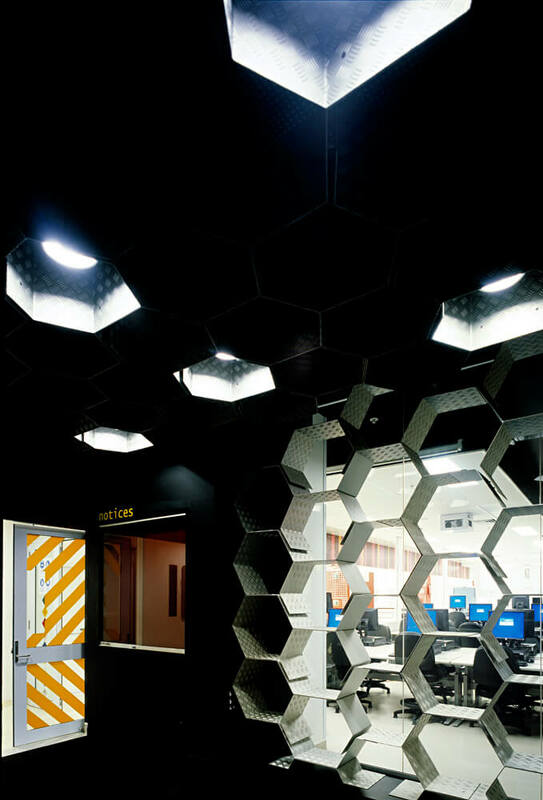 Level 5 – Undergraduate teaching laboratories and specialist preparation spaces. Level 6 – Research laboratories including collaboration space for organic chemistry. Level 7 – Research laboratories and academic offices (Molecular Genetics and Genomics) and The Australian Equine Genetics Research Centre. 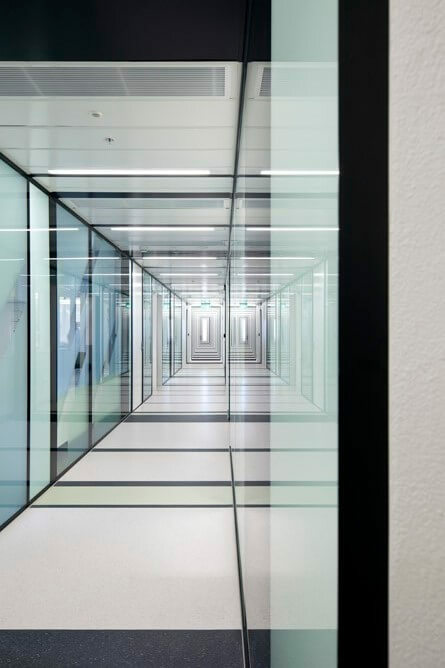 Level 8 – Research laboratories and academic offices for Biomolecular Chemistry specialists (Bone repair and regeneration), and equipment spaces, including electrochemistry and laser rooms. 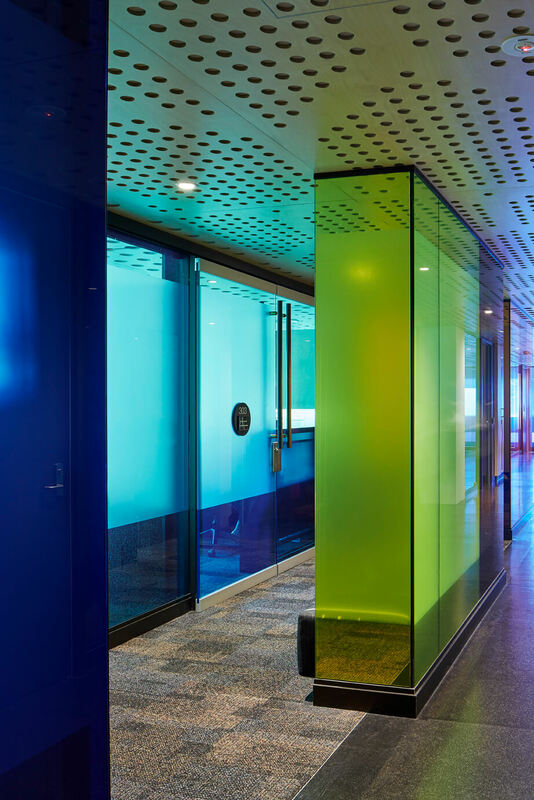 Level 9 – Research laboratories and academic offices for the Centre for Organic Photonics and Electronics including a clean room, electronics fabrication facility, and materials and synthetic chemistry facilities. Level 10 – Research laboratories for Biomolecular Chemistry, Medicinal Chemistry and Photochemistry and ultrafast laser spectroscopy (drug development and delivery, natural products, biological molecules, organic proteins and peptides). Level 12 – Fume cupboard plant room containing over 140 individually ducted fume cupboard fans. assisting users in developing new laboratory systems and procedures. improving and controlling the quality of gas reticulation. improving safety through the development of suitable chemical storage facilities, reticulating gas from external sources, and upgrading life safety systems. improving access to natural light, thereby allowing scientists to make observations in ideal lighting conditions. 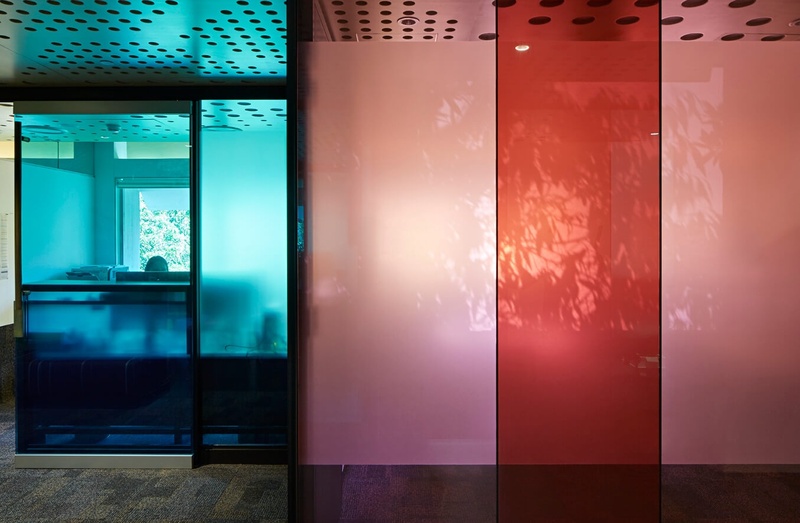 creating new shared space for researchers, providing the potential for collaboration. providing new engaging forms of laboratory space and quality student collaboration spaces thereby assisting in the retention of students in the sciences. improving the standing of Chemistry within the University by improving the quality and presence of the building on the campus. giving each floor of the building its own distinct identity thereby reducing the need for signage and improving wayfinding. The work on this project is founded on our knowledge of the relevant laboratory and safety standards. It also required us to be intimately involved with each laboratory manager in the development of specific safety requirements in our design, and laboratory management protocols. As the University’s primary facility supporting the research and teaching of chemistry, the building contains a very large number of fume cupboards. Incorporating these required careful coordination, both because of the building’s age and because of its very low floor-to-floor height. To ensure the co-ordination of these works we produced our own three-dimensional documentation of in-ceiling services. 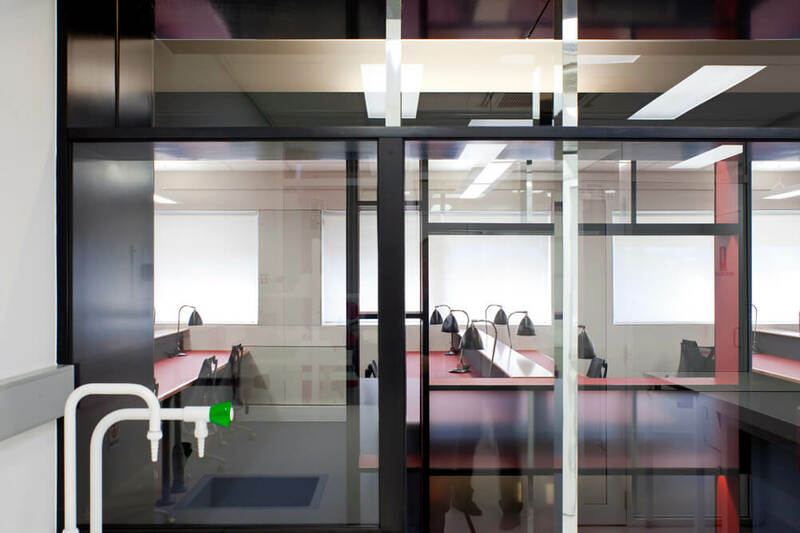 Minimising variations is a vital aspect of our work, particularly with the high cost and critical time frames associated with designing and building laboratories. These kinds of outcomes are primarily built on a clear and concise brief. We’ve developed our own systems and processes to assist our clients in writing suitably-detailed briefs. This allows a user group to understand and communicate their needs, and provides the consultant team with the information required to deliver an efficient, flexible and low maintenance research facility. 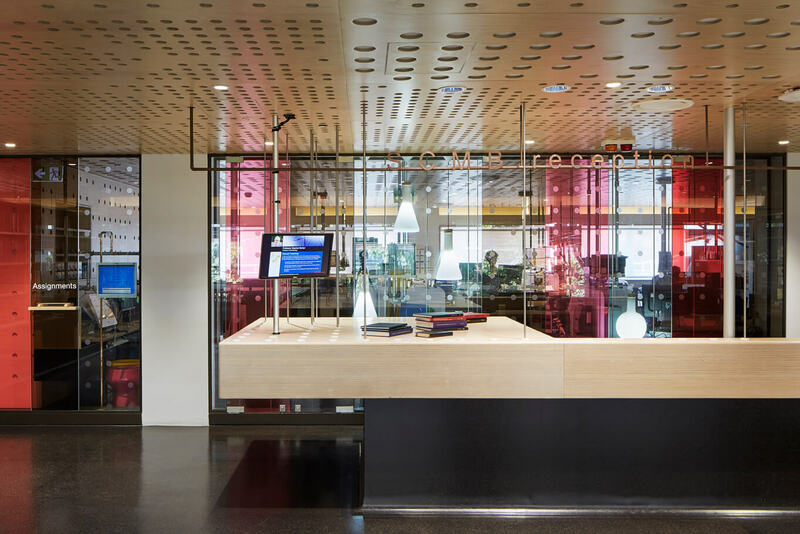 Several laboratories which form part of this work have been recognised with awards by the Australian Institute of Architects. “m3architecture clearly knows how to manage projects! They are extremely organised, efficient and always contactable. “In my experience it is rare to find an architectural practice that can pair extremely creative design concepts with effective and pragmatic design solutions.